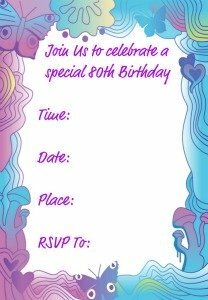 Creating an 80th birthday invitation needn't be tricky with my invitation tips, or even scroll down to print out your 80th birthday template. You want an invitation that says “party!” but at the same time, the birthday girl or boy is turning 80, so you want to have a rather toned down event. There are many things you can do to come up with a good invitation, and we will explore a few here. Before we get into creating the card, there are some things that you will need to take into account. One is the 80th birthday decorations; there is nothing like a theme running through the whole event. 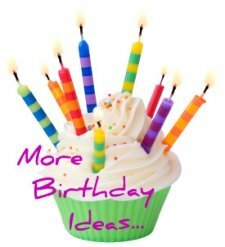 The other is the 80th birthday party ideas. You may want to step back and think about what kind of party you want to have, again in keeping with a theme. A theme gives a party a unique kind of ambiance. It remains etched in people’s memories and that’s what you want with any party that you host. Let’s get back to 80th birthday invitation ideas. There are many ways to create one. You can hire an expert. There are people out there who design invitations that are personalized. Get the best that you can afford, and then leave nothing to chance. You want to talk to this person about the kind of guests you’ll be having, the running theme in the party and also the celebrant. Paint a picture for them that’s as real as you can get and then let them get creative. 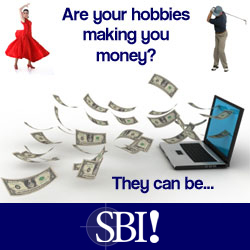 If you have some ideas to get them started, that’s even better. 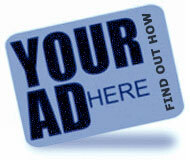 Make sure you work with someone who allows for reviews ad changes. These will come up along the way unless you get someone who is really talented. The other thing you can do is get a small team together. A team is great because the thinking does not come from one mind – it’s diverse and the results are likely to be much better. A team should be comprised of people who are familiar with the birthday boy or girl and also who are willing to participate. It helps if you have someone with an artistic streak. They will put some creativity into the invitation. Meet regularly until you can come up with ideas, and then delegate tasks to make the ideas come together. There is the buying of the necessary materials, putting them together into invitations and then sending the invitations off. Because you're working as a team, split the work so that no one person feels overburdened or left out. Kids are a great resource if you have some in the family who are old enough to help with creating an 80th birthday invitation. For one, they tend to think outside the box – they are still more creative than analytical. And the second thing is that they are enthusiastic; this converts into lots of fun and a job that’s done much faster. If they are grandchildren of the celebrants, or even related in any way, it gives the whole affair a special touch. Don’t expect perfection though; kids rarely go for perfection. You can have them sign their names at the back so that each recipient will know they were made by kids. As you can see, there are many ways you can get an 80th party invitation together. These are just 3 of them. It’s not very hard – give one of them a try and see what comes out of it. 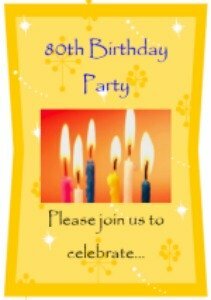 Go to 80th Birthday Party Ideas from 80th Birthday Invitation.